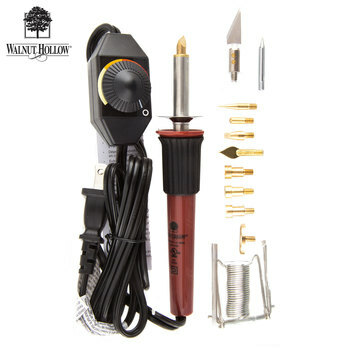 Warm up the hot knife. I put a metal tray underneath so it doesn’t burn my countertop. That may or may not have happened before. 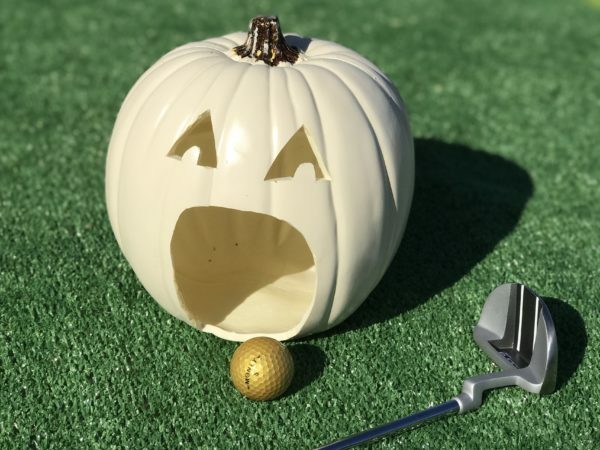 Trace a design on your pumpkin with a pencil so you can erase if need be. 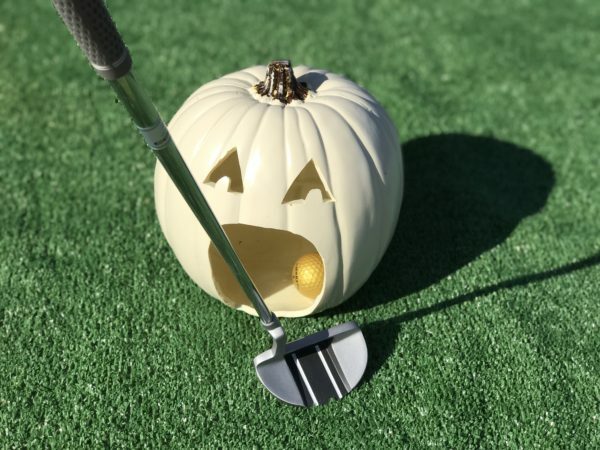 Using your hot knife cut out the pumpkin face, making the mouth big enough that the golf ball can fit in. Lay your astro turf down. 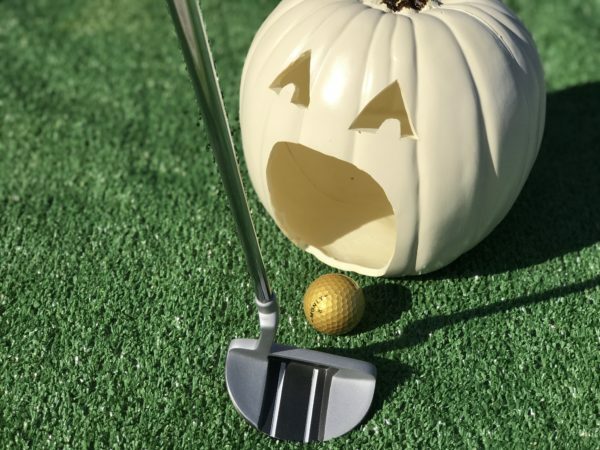 (I found that the astro turf makes a big difference compared to just putting the pumpkin on the ground and golfing without it). What are your favorite Fall games? 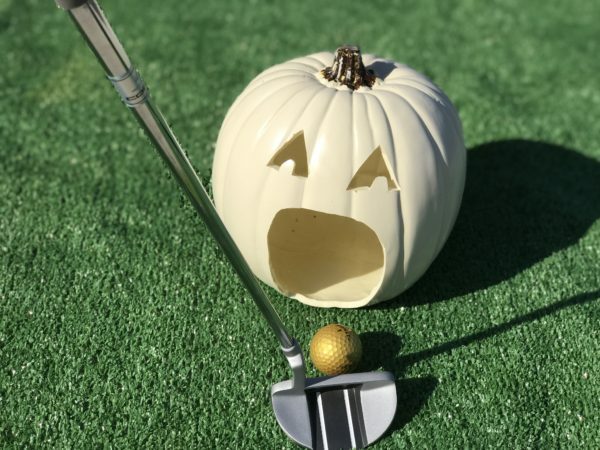 This entry was posted in School and tagged classroom party games, classroom party ideas, fall games for kids, foam pumpkin crafts, pumpkin mini golf.